The Intersections & Beyond: De La Salle University launches its centennial coffee table book, "The Future Begins Here"
De La Salle University launches its centennial coffee table book, "The Future Begins Here"
De La Salle University celebrates an important milestone of its 100-year history with the coffee table book, The Future Begins Here. 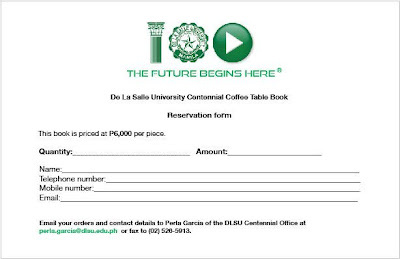 It was purposely conceptualized not to be a traditional history book, but a reference that would best express the spirit of the University – keeping pace with the changing times while being true to the original ideals of its Founder, St. John Baptist de La Salle. 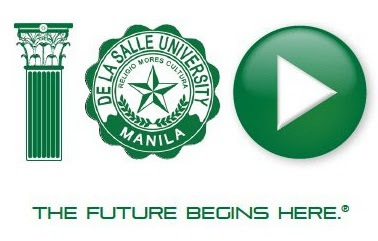 In the book, the inspiring and heart warming story of the De La Salle schools is carried out in many ways. The approach is thematic rather than chronological. The story is related through the story of the Christian (La Salle) Brothers who have selflessly given of themselves in the name of education. 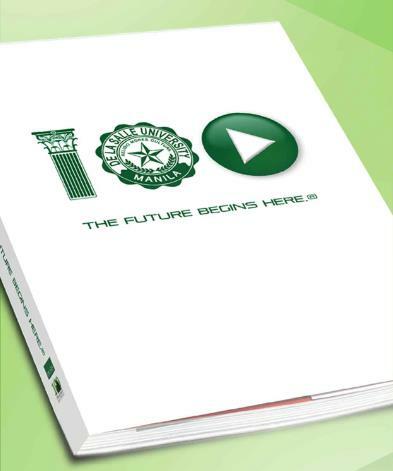 It is also told through short bioclips and quotations of the most illustrious Lasallian alumni in business, public service, the arts and culture, sports, science and technology social sciences and education, environmental protection and other fields. It also offers a distinct look at the past 100 years by seamlessly marrying the past to the present to the future. Rich in novelties. You will be surprised by what you see in terms of certain fold-outs, packets etc. It is a book that will make not only Lasallians but every Filipino proud of their heritage and their history. Ateneo sold their 150-year book for 5,000 pesos with only 120 pages. Ours has 320 pages. And the net income goes to the One La Salle Scholarship Fund.